So, we’re starting with what is hands down my favourite video game of all time, ‘Red Dead Redemption’. And it’s a bit of a hot topic seeing as ‘Red Dead Redemption 2’ is only just under 3 weeks old at time of writing. This is a game that I originally bought after mucking around on it at a friend’s house. We would constantly push Bonnie MacFarlane, shoot our horse in the head whilst riding. Good fun. Of course, once that novelty wore off, I became enamoured with the story, the setting, and of course, protagonist John Marston. I still lose myself in this game to this day, and I think I always will. Once upon a time, I hated first-person based games. Shooters like ‘Call of Duty’ seemed to be doused in repellent to me. I disliked the way you moved, the camera, and the overall mechanics. 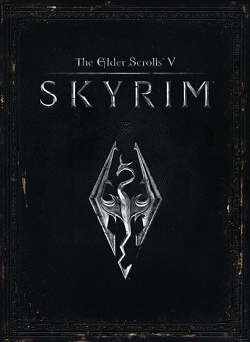 That is, until I played ‘Skyrim’. Admittedly, my first playthrough was almost entirely in third-person mode, except for when using a bow. It slowly became the main method of play. Before ‘Skyrim’, I had never played an Elder Scrolls game, and honestly it was only a series I knew in passing. After buying this game following a recommendation, I became hooked. The world, the lore, everything about this game calls out to me regularly, inviting me to come back. Across multiple platforms, I’ve got well over 1000 hours logged in this game, and I know the map better than I know my home town if I’m being completely honest. ‘Kingdom Hearts’ is most easily described as ‘Final Fantasy with Disney Characters’. 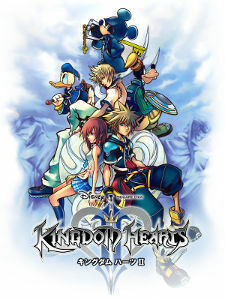 Now, I’ve never played a ‘Final Fantasy’ game so I don’t know how accurate that is when it comes to how it plays, but in worlds populated with obviously recognisable Disney characters and characters from the aforementioned video game mega-series it hits the nail on the head as a description. My love for this game, it’s fair to say, is based entirely on the fact you’re travelling through and involving yourself in the world and stories from many Disney movies, alongside your companions Donald Duck and Goofy. Sure, the story is a bit long-winded and combat can get very repetitive – but when you’re fighting alongside Jack Skellington in Halloweentown whilst an instrumental version of ‘This Is Halloween’ is scoring it all, it’s so easy to overlook any problems the game may have. 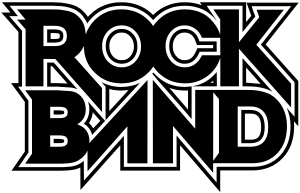 The enduring appeal of the ‘Rock Band’ series to me, in reality, doesn’t actually have all that much to do with the games themselves. It’s good fun to grab your plastic instruments and play along with your favourite songs, slowly but surely getting better in the same way you would with real instruments. But the simple truth of the matter, to me at least, is that I love these games for the soundtracks, and aside from licensing the songs and making the charts, the developers can’t take much credit for this. I’ve discovered many new artists via these games (as well as ‘Guitar Hero’, although I don’t play GH at all anymore), rediscovered songs, and I’d even say found some added depth in some songs because of these games. Cards on the table. I’ve not yet had a chance to play the Reignited trilogy. It looks alright, I’m sure it plays fine. But regardless of how well it plays, it won’t BE the original trilogy itself. These were the first video games I ever truly treasured playing. Countless hours of my childhood were spent in the Dragon Realms with Spyro and Sparx; hunting collectibles, helping locals, fighting bosses and a lot of the time, just revisiting worlds for the sheer hell of it. And since my younger days, these are games I’ve retained these fond memories of, even creating more as I’ve returned to play through them again and again. I didn’t 100% (and beyond for 2 of the games) these games fully until I was in my early 20s, and even now I still know there are secrets in this game I am yet to find. Ok, so let me start off by making it clear. ‘Avengers Assemble’ is not my favourite Marvel Cinematic Universe movie. It’s not even my favourite Avengers movie. However, in talking about the movies that have had the most impact on me, ‘Avengers Assemble’ needs to be mentioned. I’ve read Marvel comics, watched Marvel TV shows and watched Marvel movies since childhood. But as quality diminished in the mid-noughties, I fell off the wagon a bit. Everyone would tell me ‘Iron Man’ was great, but I wasn’t interested. When ‘Avengers Assemble’ finally came out in 2012, I went to see it more because of the accomplishment it was going to be, combining multiple films and characters into a single team-up movie. How glad I was that it wasn’t just brilliant, it was exceptional. My love was reinvigorated, and I may have been late in jumping onto the MCU bandwagon, but I’m now a devout fan through and through. I was first introduced to the world of ‘Beetlejuice’ via the animated series that arrived on Cartoon Network in the 90’s. I’ve found out in looking it up today that the show was actually created in 1989, only a year after the movie was released, and ended in 1991, long before Cartoon Network ended up airing it. But I digress, the warped and gothic world of the animated series struck a chord with me when I was young – it was something new, something I felt myself drawn to. Upon finding out the show was based on a movie in my teen years, I sought it out and discovered a film willing to deal with darker themes whilst retaining a genuine comedic styling throughout. It was eye-opening to me, and played a massive part in the formation of who I am today. I even own a pair of Beetlejuice style jeans that I wear regularly! My love for the ‘Little Shop of Horrors’ movie is very similar to the love I have for ‘Beetlejuice’. Based on the films I’ve written about so far, you can probably tell I’m predisposed to enjoyment of musicals, darker subjects and darker forms of comedy. 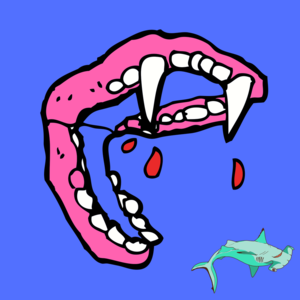 ‘Little Shop of Horrors’ is what I would describe as a horror-comedy-musical, but in truth, the horror is very minimal. It’s got the typical themes of many musicals; there’s a down on his luck guy named Seymour, Seymour’s love interest Audrey, the love interest’s villainous current boyfriend Orin Scrivello, and a slum style environment. 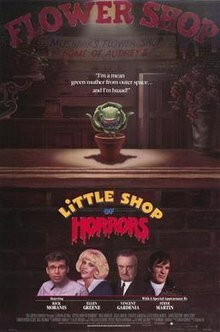 Where ‘Little Shop of Horrors’ sets itself apart though is the inclusion of Audrey 2, a plant Seymour finds early in the movie that it turns out likes the taste of human flesh. It’s a tale with some pretty adult themes, most prominent being domestic abuse, but all wrapped up in a package that is one of the strangest feel good movies you will ever watch. Choosing a Disney movie to write about here was an incredibly tough decision. My favourite Disney film is ‘The Lion King’, but what is there left to say about it? The ‘Toy Story’ trilogy is my favourite movie trilogy, but it suffers the same problem as ‘The Lion King’ in that everyone knows it like the back of their hand. That left me with one other Disney film that I regularly cite as a favourite – Tarzan. It’s a film about a baby boy lost in the jungle, who is adopted by a troop of gorillas, and what happens 20 years later when he first finds out he’s a human. The jungle setting is beautifully animated, with incredibly vibrant colours that even make The Lion King look a little dull at times. Plus, Phil Collins wrote and recorded the soundtrack for the film and it is simply stupendous! It’s a Disney film that people don’t often talk about, and I would love to change that. So, there we have it. 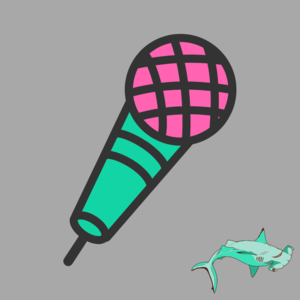 Across 2 different parts, I’ve given you a smattering of my favourite albums, TV shows, video games and movies. I’m hoping that you’ve got at least a vague idea of who I am, what I like and what I may write about going forward. I look forward to sharing thoughts, ideas, reviews and more with you in the time ahead.